Today is a pretty special day! 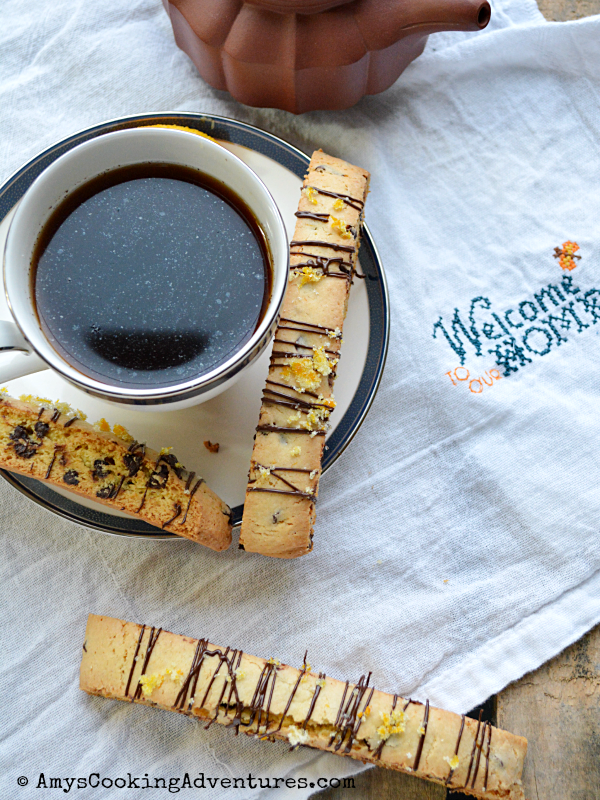 A group of bloggers are all sharing some delicious biscotti recipes in honor of Tara’s (from Tara’sMulticultural Table) second baby! I’ve only made biscotti once before, I was excited to try another recipe! Since it’s nearly spring (let me be optimistic, here), I wanted to make something citrusy. I thought about lemon poppy seed, but then I ended up with an extra orange from making Mimosas and decided to switch gears. Orange and dark chocolate go to together so beautifully, that I decided to stir some mini chocolate chips directly into the biscotti, as well as drizzle it on top. The biscotti is a perfect balance of citrus and chocolate, crunchy yet soft and goes beautifully with a cup of coffee or tea. Place the butter and sugar in the bowl of a stand mixer. Beat for 1-2 minutes or until light and combined. Add the eggs, zest, juice, and extracts and stir until fully combined. Slowly add in the flour and baking powder. Use a large spoon to stir in the chocolate chips. Turn the dough out onto the prepared tray and pat into a rectangle about 12x4 inches (mine was closer to 11x5) with uniform thickness. Place in the preheated oven and bake for 20-25 minutes or until the edges just begin to brown and the top is set. Remove from the oven. Immediately, use a large straight knife to slice the biscotti into pieces about 1-inch wide. Place the pieces on their sides, about ½ inch apart. Return to the oven and bake for 15-20 minutes or until browned and crisp. Remove from the oven and cool. Once cooled completely, place the melted dark chocolate in a decorating bag fitted with a small tip (or a ziplock with the corner cut off) and pipe the chocolate onto the biscotti. Mix the remaining zest with the sugar and sprinkle over the biscotti. Your biscotti are stunning! Thank you for joining me in celebrating Tara. Those look wonderful Amy!! Perfect flavor combination! 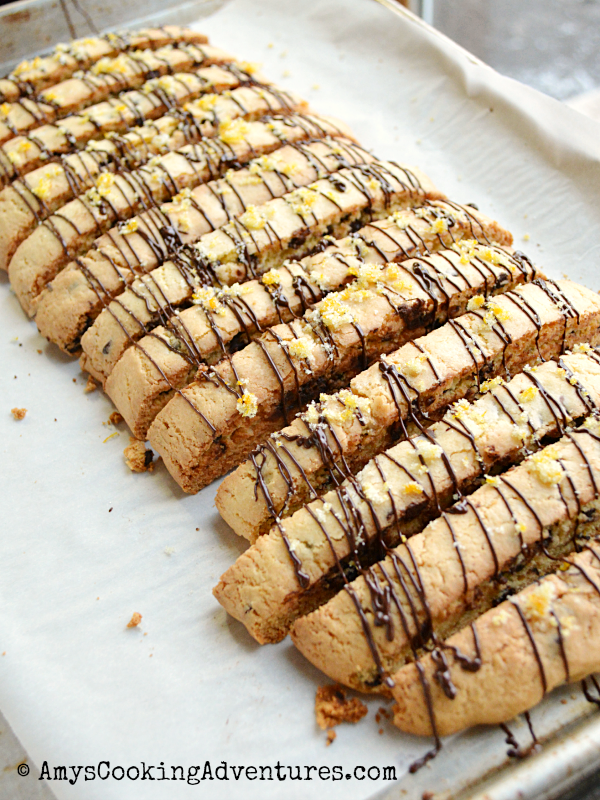 Great biscotti for this time of year too since citrus is in season. Love the flavors you picked for your biscotti, and they turned out absolutely perfect! Those look SO amazing. Great flavor combinations. 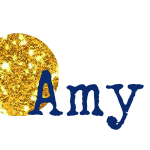 Thanks for sharing, Amy. Great minds think alike, I made dark chocolate and orange biscotti too! Your looks gorgeous! I love that chocolate drizzled over the cookies! Chocolate and orange is a great combination! Biscotti is great for morning, noon, and night. 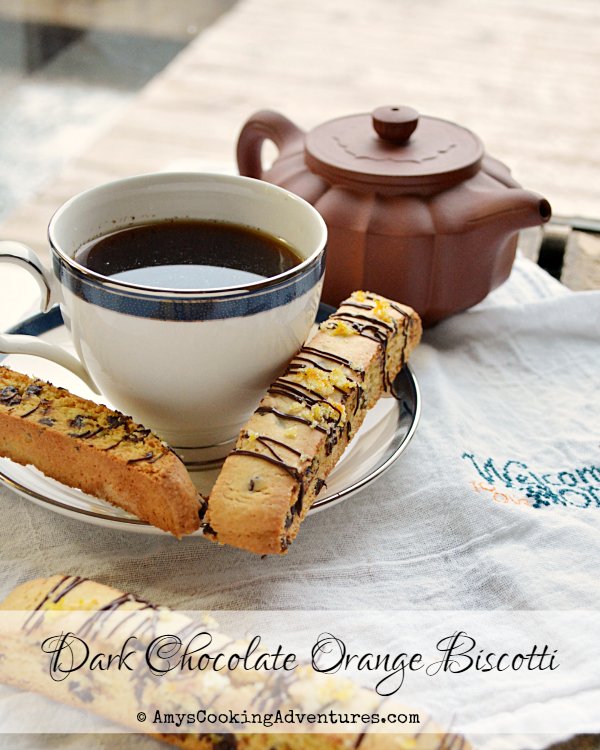 These Dark Chocolate Orange Biscotti look amazingly delicious! Just pinned it! Yumm!